eCrystal PSG allows Sleep Physicians and Primary Care Physicians to seamlessly access sleep study information and share results over the internet creating more efficient diagnosis at significantly lower costs. 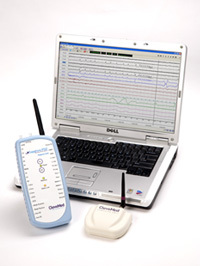 Sapphire PSG is a type I, complete PSG system with state-of-the-art wireless hardware and CleveMed´s own user-friendly PSG software for managing patient data, data acquisition, scoring and reporting. Six of the 22 channels are EEG channels, fulfilling the requirements set by the new PSG guidelines. 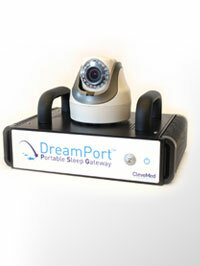 SleepScout is a portable type 3 sleep monitor that exceeds the AASM guidelines and CMS requirements. 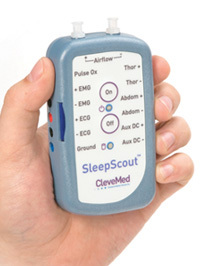 This compact, portable sleep monitor allows for preliminary assessment of sleep disordered breathing and periodic leg movements to be made outside of the traditional sleep lab, such as in a patient's home or in a hospital setting. 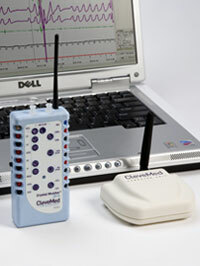 The SleepView is the Smallest and lightest home sleep monitor with AASM recommended Type 3 channel set. 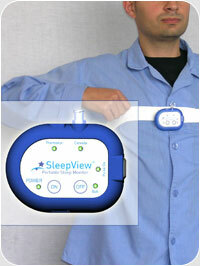 The SleepView is ergonomically designed for patients to perform a self test at home. SleepView works hand in hand with the eCrystal PSG Web Portal, where sleep studies are uploaded for review and scoring by sleep technologists and interpreted by a board certified sleep physician. 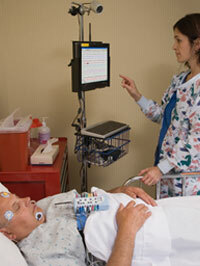 This practical and efficient patient monitoring system, allows physicians to provide a continuum of care.